We provide free information and assistance for mobile researchers – by means of this portal and with the support of our national EURAXESS Centre. In this portal you will find practical information concerning professional and daily life as well as information on job and funding opportunities. 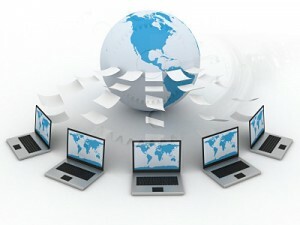 If you do not find the information you need in this portal, do not hesitate to contact us personally. We are here to remove barriers and make your life easier. Researchers planning to continue their research career abroad can also find free useful information and assistance in this portal and in the portals of the countries they consider moving to. As a country which is still developing its R&D activity, Malta’s collaborations are largely ‘under construction’ and the collaboration profile is evolving over time. An important component of Malta’s international R&D collaboration activity is its participation in the EU’s Framework Programme for Research and Technological Development (FP). 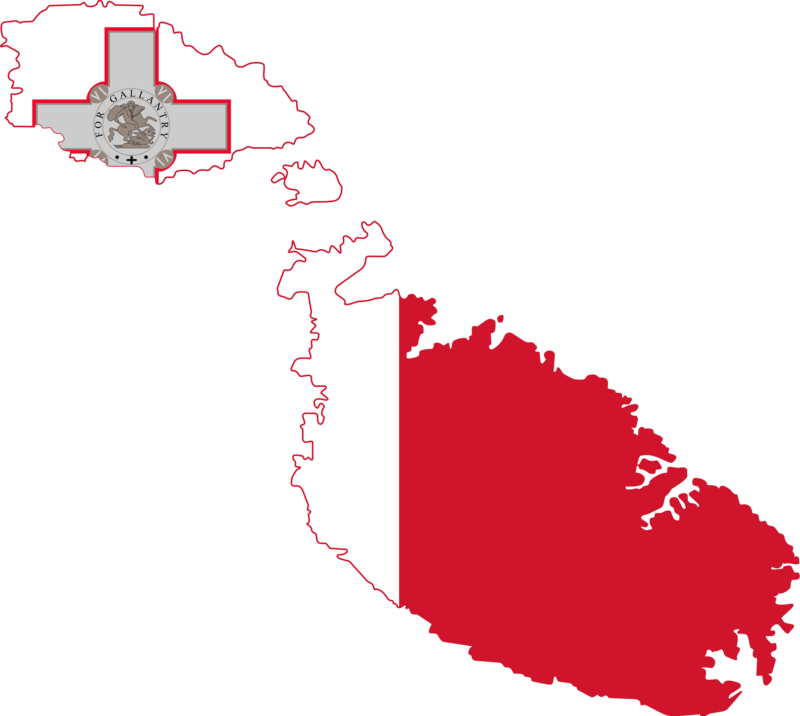 In recent years, the international aspect of R&I in Malta is increasingly being shaped by membership of the European Union (EU). The latter’s drive towards common European goals in R&I often contrasts with the diversity among EU member states in terms of size, geographical location, economic structure and maturity of the R&D system and restricts the direct applicability and transferability of R&I policy approaches from one country to the other. In playing its role towards its visions for research and innovation, Malta actively participates in several forums at European level and endeavours to translate the European goals and vision into actions which fit Malta’s contextual framework. At a macro level, Malta’s stable political, economic and financial system is an important asset. The establishment of a number of high value-added economic sectors such as pharmaceutical manufacturing, gaming and financial services is a positive development which, however does not necessarily translate automatically in an increase in innovation activity. This economic shift is therefore a strength which needs to be exploited wisely in order to increase indigenous innovation activity in Malta. Malta’s geographic location and its EU membership provide an opportunity to build and foster more international linkages with foreign research groups and R&I intensive companies. The magnitude of the internal market also allows for improved economies of scale. Malta’s small size is often recognised as an opportunity for promoting Malta as a test-bed for new technologies prior to roll out on a larger scale. Diasporas of Maltese researchers, innovators and entrepreneurs are another opportunities to be harnessed in strengthening international linkages. This portal was developed by the Malta Council for Science and Technology (MCST) as a tool for researchers working in Malta or abroad. Users can make use of the database (Profiles) to make contact with fellow researchers. They can also access news and events related to R&I as well as job opportunities. Those interested in engaging in a debate with other researchers on Malta's smart specialisation areas can request access to the PluMTri Forum. The first being the showcasing of information, opportunities, programmes, and any news and events related to R&I. The portal’s second function is to allow users to view and connect with Maltese individuals and organisations in R&I. These users, which can be either individuals and/or companies in R&I have the opportunity to register as members of PluMTri and upload their profiles that are created based on a standardised template. The University of Malta aims to maintain and confirm its place as a research-intensive institution. Research activity is at the very heart of the University's vision, to stimulate teaching and to build strong links with business and industry as well as with other academic institutions. The University of Malta is the highest teaching institution in Malta. It is publicly funded and is open to all those who have the requisite qualifications. The University's structures are in line with the Bologna Process and the European Higher Education Area. Conscious of its public role, the University strives to create courses which are relevant and timely in response to the needs of the country. Faculty of Arts; Faculty of the Built Environment; Faculty of Medicine & Surgery; Faculty of Economics, Management & Accountancy; Faculty of Education; Faculty of Engineering; Faculty of Health Sciences; Faculty of Information & Communication Technology; Faculty of Laws; Faculty of Media & Knowledge Sciences; Faculty of Science; Faculty of Wellbeing; Faculty of Theology. A number of interdisciplinary institutes and centres have been set up in various fields. The institutes include the following: Aerospace Technologies; Anglo-Italian Studies; Baroque Studies; Climate Change & Sustainable Development; Confucius; Digital Games; Mediterranean Academy of Diplomatic Studies; Earth Systems; the Edward de Bono Institute for the Design & Development of Thinking; European Studies; Islands & Small States; Linguistics and Language Technology; Maltese Studies; Mediterranean Institute; Physical Education & Sport; Space Sciences & Astronomy; Sustainable Energy; Tourism, Travel & Culture. The centres comprise of: Centre for Biomedical Cybernetics; Centre for Distributed Ledger Technologies; Centre for English Language Proficiency; Centre for Entrepreneurship and Business Incubation; Centre for Environmental Education and Research; Centre for Labour Studies; Centre for the Liberal Arts & Sciences; Centre for Literacy; Centre for Molecular Medicine and Biobanking; Centre for Resilience & Socio-Emotional Health; Centre for Traditional Chinese Medicine; Centre for the Study & Practice of Conflict Resolution; and the Euro-Mediterranean Centre for Educational Research. Researchers at the University of Malta conduct research in a variety of areas ranging from adaptive systems to seismic monitoring. As the only University in Malta, we have a special responsibility to study areas of an indigenous or national dimension, such as local marine and terrestrial fauna and flora, properties and conservation issues related to the Maltese globigerina limestone, Malta's rich history, indigenous disorders such as thalassaemia, Maltese linguistics, and the resilience and vulnerability of islands and small states. The University is also home to a number of leading research programmes, including digital games research, climate change, metamaterials, physical oceanography and maritime law. More about ongoing research at the University is available on the Research Website. In the close run-up and following Malta’s accession to the European Union, the University of Malta could tap into various funds to step up its research activity and collaboration with both industry and international counterparts. In early 2007, a support unit for externally-funded projects, called for short the Project Support Team, was set up as it was clear that the University did not have the adequate administrative support structures to manage the number and increasing complexity of the projects in hand. This cross-functional team includes administrators from Finance, Legal Services and the International Office who work together to support academics during the process of compiling a grant proposal, and once accepted, for the duration of the project. The Team makes sure that the University does not enter into any contractual or financial obligations which it cannot sustain or which are detrimental to its interests, it also makes sure that the University does in fact fulfil all its obligations. The support offered by this Team, the availability of more funding programmes both locally and internationally, as well as the impact of the collective agreement which has encouraged academics to dedicate more time to their University career, have resulted in a significant increase in activity in ‘externally-funded’ research projects. The Corporate Research and Knowledge Transfer Office was set up in September 2009 to assist in with the transformation of the University into a modern-day 3rd Generation University built on three pillars, namely: teaching, corporate research, and direct and active participation in sustainable socio-economic development. to seek financing for corporate research initiatives. The Malta University Residence welcomes people of all national origins who travel to Malta for a holiday, on work placement, to expand their academic standings or visit their University colleagues. This vibrant cosmopolitan setting connects people (students and non-students), enhancing understanding and personal development. The Residence is conveniently located 3.4 kms from the University Campus. The Residence operates a courtesy bus service connecting with the University directly and runs on a regular basis. Situated on extensive private grounds with a large communal pool and within walking distance from the quaint town centre of Lija and main public transport routes, the Residence is well positioned for accessing major shopping centres, historical sites and beautiful beaches. In operation since 1994 the Malta University Residence has strived to provide good service in order to meet the living needs of thousands of long term and short term stay clients. The Residence is recognized for its safe surroundings and value-for-money. MUR provides a direct link to the University of Malta’s server, with students able to access the same information available on campus, with the Residence complex. No other establishment has this privilege. The internet service is free of charge and for the sole use of University of Malta Students. The Doctoral School provides guidance and support to the thriving community of doctoral candidates and academic supervisory teams across all research degree programmes at UM. Our team is committed to support and enhance the research experience of all doctoral candidates at the University. We bring together doctoral researchers and supervisory teams to benefit from the sharing of best practices. We work with different groups across the University to promote widespread dissemination of doctoral research. We work with other service providers to ensure that researchers are equipped with knowledge and skills that can be applied to academic or non-academic career paths they choose to follow. RSSD provides comprehensive support to academics on all aspects of undertaking excellent research, from obtaining funding to undertaking experimental work. For more information, kindly click here. Knowledge-intensive economic growth represents a major challenge for small countries with limited resources, a lack of critical mass and a poor culture for research and innovation. Support for new entrants is critical in the knowledge economy since these innovative-start-ups and spin-offs are created in response to emerging new technology niches and commercialisation opportunities. For Malta, this presents an opportunity to develop private sector R&D investments and capacities. Based at the University of Malta, TAKEOFF is Malta’s first technology business incubator. The program is specifically designed to help innovators and aspiring entrepreneurs create successful science, technology, engineering, creative media and knowledge-based startup business – taking them from idea to investment and, well, to takeoff. Bringing together innovators, entrepreneurs, mentors and investors, TAKEOFF aims to close the skills and resources gap experienced by entrepreneurs as they embark on their startup ventures. The TAKEOFF program delivers a tailored package of benefits and guidance to entrepreneurs from inside and outside of the University of Malta. The program aims to help entrepreneurs transform their ideas into market- and investor-ready ventures. Located in the heart of university campus, the program aims to stimulate an energetic community of ideas, learning, support and determination – all critical ingredients for building great businesses. TAKEOFF’s incubation programme focuses on exposing and connecting entrepreneurs and startups to an expanding community of mentors who have a desire to share their business and technology development experience, knowledge and networks. Experienced innovators, serial-entrepreneurs, domain experts, professional advisers help TAKEOFF entrepreneurs get on the right path and succeed. The Centre for Entrepreneurship and Business Incubation (CEBI) was set up to educate and support graduates in the creation of successful Knowledge-Based and Knowledge-Intensive business ventures. It promotes knowledge-intensive, entrepreneurial culture in Malta through research and academic courses, with the wider aim of fostering the socio-economic development of the Maltese islands. The research centre is currently targeting knowledge-intensive sectors such as science, technology, engineering, and creative media at the University of Malta and in the wider Maltese context. The Malta Life Sciences Park (MLSP) was conceived by the country’s economic development agency, Malta Enterprise, to provide an international class facility for life sciences and information technology development. The MLSP is designed to promote research and development and to spur the growth of the life sciences sector in Malta, building on the base that the country developed in the pharmaceutical industry during the last decade. Co-financed through the European Regional Development Funds, the MLSP is divided into two main components: the Malta Life Sciences Centre and the Malta Digital Hub. In total, there are currently 13,500sqm of space comprising laboratories, offices, a seminar room, meeting rooms and various shared facilities. The MLSP supports and encourages growth and success among its tenants, offering a stimulating environment for knowledge-intensive companies. Regardless of a company’s size or stage of development, the MLSP offers access to experienced and professional business and financial advice, as well as assistance for internationalization. A well-balanced combination of entrepreneurial and industrial competence is essential for the growth and development of every company, and at the MLSP there are no limits on a company’s opportunity to continually improve, develop and grow. Business First is a one-stop-shop business centre under Malta Enterprise offering a number of services aimed at facilitating the establishment of local businesses whilst also providing the necessary support for business growth and expansion. Business First provides a number of services related to business establishment in Malta. Such services cover the registration of a company or a self employed person, registration with the VAT and Inland Revenue Departments as may be applicable, registration for employment purposes, registration for the necessary licences and so forth. In an increasingly interconnected world, EURAXESS offers you the chance to interact on a global scale. It is a networking tool set up to support researchers working within and outside of Europe who wish to connect or stay connected with other researchers in their field of research. Through networking, researchers can strengthen European research and scientific cooperation with the world. EURAXESS Services is a network of more than 260 centers that assists researchers and their families in their planning to move to a foreign country. The EURAXESS Services Centres are there to provide assistance on issues related to visa or residence permit formalities, social security, family support or daily life. All services can be accessed from the EURAXESS National Portals that have been set up for all the countries in the network.